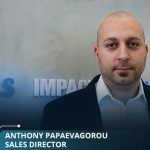 Mr. Anthony Papaevagorou, Sales Director at ImpacTech, talked about ImpacTech’s range of innovative Business Intelligence solutions ahead of the iFX Expo in Limassol on May 22 –24 where they will be Gold sponsors at this year’s event. What can visitors expect to see when they visit you at the expo? We’ll be presenting our complete suite of end-to-end solutions including our newest release ImpactCRM and our data-driven marketing tools. We will also be demonstrating our business-optimised telecom solution with its integrated natural language processing tools which reveal the most effective sales keywords and other critical prompts. And of course, there is our White Label Brokerage solution which has every tool needed for a brokerage to succeed which also integrates seamlessly with our full range of products. I’m immensely impressed with ImpactCRM and the use of Big Data and AI in its development makes it a real gamechanger. It’s an outstanding CRM system with built-in business relationships that delivers straight out-of-the box. It enables the business owner or managing director to oversee and control the business from a single interface in real time. It’s a data-driven CRM with the modules needed to integrate with a business. It’s incorporated with more than 250 payment providers, compliance services, telecom solutions as well as education and signals providers making it customizable to a business’s exact needs. Essentially, it’s the hub around which a business will grow and creates efficiencies in brokerages’ everyday processes to minimise costs and maximise sales opportunities. What do you mean by real time? As I’ve mentioned, ImpactCRM has been built with the latest developments in Big Data analysis and AI. It delivers a coordinated customer management process across sales, customer support and marketing in real-time and improves results without adding to your workforce. One of the key benefits is that it can make adjustments to business-critical functions like sales, marketing and support in real time. 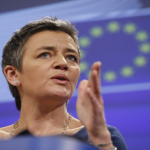 This gives a business a significant advantage in a what is becoming an increasingly competitive marketplace. So ImpactCRM will drive a business’s marketing? Marketing has been made more efficient and effective by applying technology and integrating the function with ImpactCRM, so that every touchpoint a business has becomes a collection point for data and adds to the CRM’s ability to produce valuable insights. Through ImpactCRM, your business will engage with customers and leads on an ongoing basis and collect actionable feedback in real time that grows more meaningful over time. 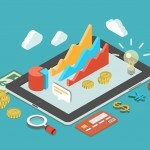 Is ImpactCRM suited to a brokerage’s needs? I’ve been in FinTech for 10 years and understand the financial industry and what’s needed to succeed in it. ImpactCRM meets those needs and there is no doubt brokerages can benefit from the insights and efficiencies it can produce. How can a brokerage find out more about ImpactCRM? 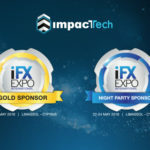 We’ll be demonstrating ImpactCRM at iFX Expo on May 22-24 and I’ll be able to explain in more detail how our solution can be applied to each individual business’s needs at our stand (96-97). Additionally, I will be presenting a workshop which will be of interest to financial institutions. It’s entitled: “How Big Data and AI can help smaller companies compete with bigger rivals in today’s market place”. 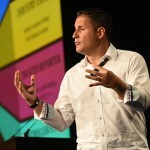 That presentation will put into context some of the ways in which ImpactCRM can help a brokerage succeed. ImpacTech creates Business Intelligence solutions. It provides every tool, service and support mechanism to help a business grow. The solutions integrate seamlessly, are cost effective and easy to use.